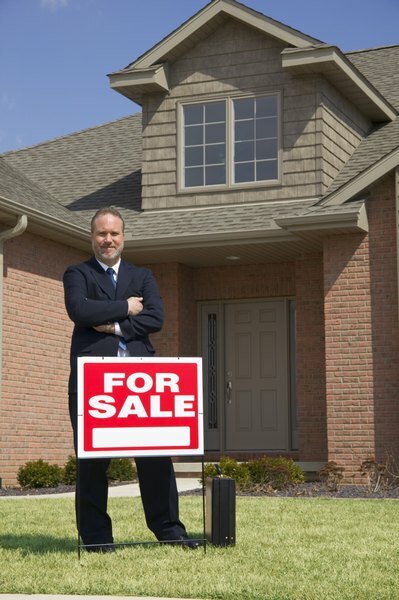 Selling an inherited home with an underwater mortgage may incur a loss. 3. Should I Pay Off My Mortgage Early in Order to Retire Early? Before the housing bubble burst, inheriting a home was usually a financial boon. In the era of upside-down mortgages, it can be an outright burden. Inheriting a home with a mortgage balance that’s higher than its market value leaves you with a very different set of options than if you were in a healthy mortgage. Although you’re not entirely sunk, you’ll need to plan carefully to avoid further financial complications. If the home and the rest of the deceased’s estate haven’t gone through probate yet, you’re in luck: The lender ‘s claims aren’t against you, but the home’s original owner. If you have no interest in maintaining ownership, you can merely allow the home to go into foreclosure. The foreclosure itself gets chalked up to the deceased’s credit report, not yours. Even if the property moved through probate, you’re not stuck with the original owner’s debt merely because he willed you the home: Until you formally assume responsibility for the mortgage, any foreclosure won’t be associated with your credit history. If the home’s underwater, it may be likely that the monthly mortgage payments are more than market value rent for a similar home. If the difference between the mortgage payment and the amount you can expect to receive in rent is small enough for your budget to bear, you may consider converting the home into a business property. You’ll be able to continue making payments and building equity, while treating the losses on the property -- the rent less mortgage payments, depreciation and upkeep -- as a passive activity loss, which you may be able to claim as a deduction. These deductions aren’t on the table if you live in the home. If you choose to make the home your primary residence, you may be able to receive help refinancing the underwater loan. You’ll need to keep up on payments and have a federally backed mortgage to qualify, but if you make the cut, you may be able to refinance the home through federal programs. The Home Affordable Refinance Program and the FHA Short Refinance program work with homeowners and lenders who don’t owe more than 120 percent of their home’s current value to provide new, more affordable and stable loans. Just how far underwater is that house you inherited? If you’re able to comfortably make mortgage payments and cover property taxes, you may take a long-view strategy if you don’t owe significantly more than the home is worth: Rather than disposing of the home now, you may simply continue to make mortgage payments and wait for the housing market to catch up. With national home prices up by 1.2 percent annually in June 2012, you may not have too long to wait.